Today I’m going to show you, step by step, how to create and format great looking eBay listings using a pre-made template and Turbo Lister. If you’re doing more than a few listings a week on eBay, you’ll know how time consuming listing creation, management and scheduling can be, especially if you do it manually and one by one, on eBay directly. Luckily there are automated listing tools available today, such as Auctiva – which is a web based listing service and Turbo Lister – which is a desktop software. While I won’t go into details on why one is better than the other in this video, just so you know – there’s no one perfect listing tool… each solution has its advantages and disadvantages. Turbo Lister is the official listing tool created by eBay and in my opinion it’s the easiest way to create, manage and list on eBay, unless you use more sophisticated systems like Linnworks. For most people Turbo Lister will work just fine and that’s why I’ll be using it in this video. The only real downside to using Turbo Lister is that it can be buggy at times – it can freeze for no reason or show an error or two. From what I have seen, these problems are highly related to what computer/software set-up you have as some people experience a lot of problems while for me, the only problem is occasional screen “freezing”. While updating or re-installing Turbo Lister will fix most errors, with freezing – just waiting works best. So when Turbo Lister freezes, don’t do anything! Don’t click all over the place – just wait 5-10 seconds and in most cases the software will then work fine. And don’t worry – it’s not like it freezes constantly, eat least not for me. Maybe I get a freeze once every few days and an error once every month where I need to re-install it. Not ideal, I know, but taking into account that it’s FREE and super easy to use, I haven’t found a better alternative yet. If you know of one, please share it with me in the comments block below this video. Ok, so I’m using Turbo Lister in this video. That doesn’t mean you can’t use any other listing software and apply the same principles though. You can even follow this video and apply everything when creating a listing directly on eBay! Without further delay, let’s get started! If you haven’t done it already, download Turbo Lister from eBay. While you can add additional eBay sites in Turbo Lister after the install, I recommend you start with the version you’ll be working with most. So for example, if your main platform is eBay.co.uk, download Turbo Lister from the UK site. From several tests this has proven to create fewer problems later on when using the program. Once you have downloaded and installed Turbo Lister, we’re ready to create the first listing. All written down and prepared in a notepad file. Remember, that you only want to use NOTEPAD for such tasks. Never ever use Word, Excel, or any online website for copying content directly into Turbo Lister! It will mess up the HTML code and you will end up with a buggy listing you can’t even edit or format. So ALWAYS use notepad for managing content and copying and pasting it into Turbo Lister. More about this issue you can read here. The next step is to actually launch Turbo Lister and create our first listing. I won’t spend much time covering Turbo Lister’s interface as it’s pretty straightforward and you can find plenty such overview videos on YouTube. Let’s just start working on our first listing by clicking on New > Create New Item. This is the main listing editing window where you basically add the same information as you would do on eBay directly – starting from the item’s title, sub-title, variations, images and so on! In pictures, I will be using self-hosted images as they give me more flexibility in terms of how they look + I can change them later on without having to edit the actual listing. If you can’t see the self-hosted image option, you can change it under the settings tab. So now all I’m doing is copying and pasting image URLs from my notepad. The first image will be the main Gallery image and will be copied to eBay’s server even when using self-hosted images. Now, a quick note about image sizes – you’ll see a small notice there that says your images should at least be 1600 pixels on the longest side. While this is all good and you should use as large an image as you can, the most important thing to remember is to use a SQUARE image as for your gallery. Why? To get more coverage in search results! Now – as you can see, some listings in the search results have bigger gallery images than others – this is only due to the image’s proportion. If your gallery image is rectangular, your listings will look like this in search results and it doesn’t matter what size they are. On the other hand, if you use a SQUARE image for your gallery image, your listing will look like this. I don’t have to tell you how much more visible these square gallery images are! Sometimes they’re twice as big as the rectangular images!!! This is why you always want to use a square picture for your 1st (gallery) image. Size wise, anything above 1500 by 1500 pixels is enough. eBay recommends 1600 pixels but that’s really a huge image for web use! Even 1500 pixels is huge! Anyway, just make sure to have the first image square and then with the others you can do rectangular too, as long as they’re big enough. Now, in the Description Builder – we won’t write anything there just yet, but put some dummy text for now as otherwise Turbo Lister won’t allow us to save the listing. Next, select listing format, price, quantity, shipping information, payment details etc. We won’t spend time on these as they’re exactly the same info blocks you would be filling out if listing directly on eBay and it’s all pretty much self-explanatory. Some of these settings can also be set account-wide, directly in your eBay account – like your returns policy and buyer filters. Once all this information is in place, I like to save the work done so far (just in case Turbo Lister crashes and you lose everything). In the main Turbo Lister window we can now see the listing I just created. I will double click it to go back to the Editing view and click on description builder to start working on the actual listing description. First thing you want to do is check the Photo Hosting settings. In the first step we already changed it to self-hosted images so the same should show up here. But still, double check it otherwise you may wonder where your Insert Image icon is as it only shows up if you’ve enabled the self-hosted images option. The next thing we do is copy your template’s HTML code from notepad, then switch to HTML mode in the program and paste the code there. I’m using a custom made template here but the same principles apply to pre-made templates which are coded in HTML. After that is done, click on Preview just to make sure that the template files load up nicely. Give it a few seconds to load all images. If no images show up and you’re wondering why, you can also try making a right click and refresh the page as sometimes Turbo Lister doesn’t connect to the internet automatically. All looks good in my case so I’m going back to Design view to continue working on the actual listing description. Design View – this is where you write the description, insert images and do general formatting using the built in, what you see is what you get, visual editor. HTML View – this is where you add your template’s HTML code and can do manual editing, such as add code to embed a YouTube video. Preview – this is where you can preview your listing to see exactly what it will look like when live on eBay. So I’m just copying the item’s description text from notepad and pasting it into the listing description, in Design View! IMPORTANT! See when I delete the pre-filled text from the template, I leave one word or letter at the beginning just to keep text formatting in place and make sure I don’t accidentally delete any tables of HTML code. In most cases where people have formatting issues with their templates, it’s simply because they deleted some tables from the template. To prevent this from happening, just do like I do and leave the first letter or word in place when pasting in your text and only then, delete that remaining piece of pre-filled text. For the main headline, use Verdana, black at 18 or 24-point (depending on how long your headline is). For the sub-headline, use the same font style but smaller in size – 14-point or 18-point. What I also like to do is make the sub-headline dark red, to add more emphasis. As you can see, it looks quite good… very clear, easy to read and understand! Right below your headline, you want to put your first and main product image. To do this, simply click your cursor where you want the image to be, center it, copy image URL from notepad and click the Insert Picture icon from the main menu bar to add the image URL. To make sure it’s the correct image, you can click Preview before inserting the image into the listing description. As for what image size to use here – it will depend on how wide a template you’re using. 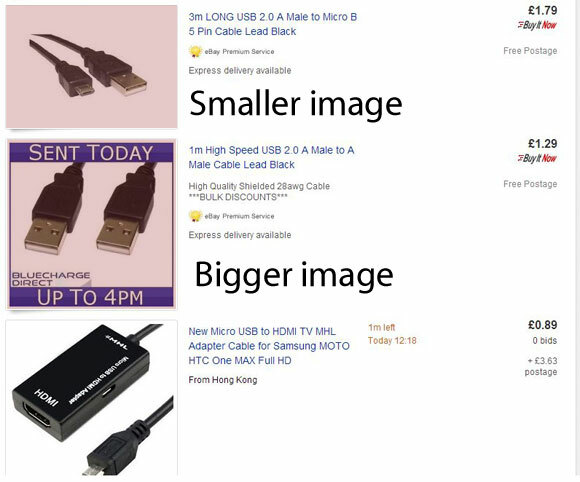 Whatever you do, DON’T use the same, super large images you used in the first step when adding images to eBay’s gallery! They’re far too big! For the actual listing description, you want to re-save the same images at a smaller size. With most templates you’ll want to use images that are 600 or 700 pixels max in width. You can easily check your template’s width by previewing it in a web browser, then making a screen shot of the actual description area. Then save that file and right-click > Properties – there you can see the image size which will be the actual width of your template’s description area. Hope that makes sense. If this is too complicated, stick with images less than 600 pixels in width as they should fit 99% of the eBay templates out there. Next, I’ll format the main description text. Start with splitting up text into paragraphs. Each paragraph should be a max of 3 or 4 lines. Then, selectively bold some of the most important parts of text. You can also use dark red here to draw attention to/emphasise parts of the description. By doing this we make the text so much easier to read! Most people nowadays don’t even want to read any large blocks of text and instead quickly scan through it and take the most important parts. So by doing some basic formatting, we really help our customers go through and understand the product description much quicker. If you have any kind of lists, use bullet points, ALWAYS! You can use Turbo Lister’s built in bullet points OR to make your listing look even more attractive, use small images/icons for bullet points. As you can see, I have created small circle bullet points for my template. I just use the Insert Picture feature to insert these small icons where bullet points should go. If you do this, remember that these icons should be very small, roughly 15 by 15 pixels with standard sized text. Great! I have now formatted my description text and added images. Next; click on the preview tab to see how it will all look on eBay! Everything looks fine so I’ll go back to Design View to finish it up by adding payment, shipping, contact and returns information. Keep it simple and to the point! Use single lines and short sentences. Always use bullet points with lists and do some selective formatting, e.g. bold/change the colour of some text. If you’re struggling with the formatting, text sizes and colours, just COPY ME! Do exactly as I do in this video – use the same font style, size and colour and you can’t go wrong! This is super simple, fool-proof formatting ANYONE can implement! When these additional information blocks are added and formatted, switch back to Preview for the last time to double check how the listing will look on eBay. All looks great to me so I’m just saving my listing to quit Edit mode. You can also preview your finished listings directly from Turbo Lister’s homepage. Simply make a right click over a listing and select Preview. The thing I like best about Turbo Lister is how easy it is to work with multiple listings! Once you have created your first listing, you can then DUPLICATE it with the click of a button and then simply change images, the description and prices to quickly and easily create new listings for other products. This is super handy when you start dealing with loads of similar products. You can even switch to Edit mode here and do basic editing WITHOUT opening any listings at all. So for example, you want to have the same auction listing but with varying lengths. You simply make 2 copies and quickly change the duration from 3 days to 7 days or whatever you want. Listing created! Then all you have to do to get the listing live on eBay is select it and click on Add to Upload. In the Waiting to Upload folder you can quickly calculate your fees and then post your listings on eBay. Turbo Lister also allows you to schedule your listings so they start at a specific time set by you. This service is free when you have a selling manager pro subscription. If you ask me – you can’t do business on eBay without this scheduling feature as you always want to test out various listing end times to maximise your profit. That’s it really! In this video I showed you how to create and format a great looking eBay listing in less than 10 minutes! Once you get good at this, you’ll be able to create new listings in 5 minutes or so and even less when you simply need to duplicate an existing listing and make some small changes. I know that there are people who absolutely hate Turbo Lister for its ‘buggy-ness’ and I can totally understand them. 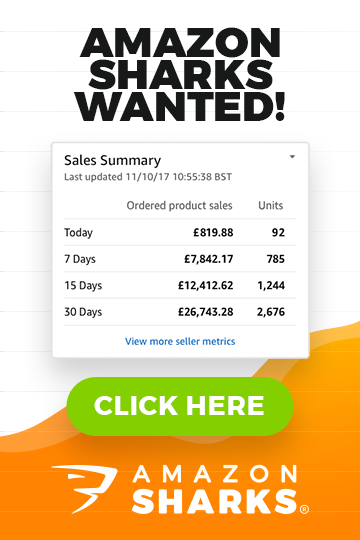 But for me personally and for many eBay sellers out there, Turbo Lister is still the easiest and quickest way to create, format, manage and upload eBay listings! Can I ask you something related with my ebay seller account. We are selling trainers and used to sell like 15-20 items a day. The I have opened a basic ebay shop and sales went down. Now after month and half we are selling only 6-7-8 items a day! Any idea why this is happens? I thoygh it may be the shop and i requested to close it. Nothing else changes, prices, new trainers every week, nothing helps! Please advise something. Thank you in andvance. It can’t be shop’s fault. Hi Andrew, I’ve been reading your posts for a while now, so much information and help with Ebay. So thank you! I just came across this one and searched turbo lister which has been discontinued! due to ebay now using seller manager – I find selling manager difficult to use – even for multiple listings. I sell trainers and often get all sorts of different trainers and it is easier to find a listed trainer and use the ”sell similar” icon – is there any other program you would suggest? for selling many similar style items – but different enough that they need to be separate listings. I will be doing a blog VIDEO post next month on this topic, so stay tuned for that. kind regards from Denice in Australia !! Thank you very much for the advice, very helpful. Is there anyway to edit multiple items descriptions that have already been created? I have lots of listings already listed and would like to change their descriptions to my new designs based on your advice. I can’t find anyway to edit in depth unless its a single listing! I’m afraid you’ll have to do these edits one by one, for each listing. SEO For eBay – How to Get Ranked #1 on Google! Great Article even though its a few years old. I tried your method and it works great except for one thing. the image appears TWICE. It duplicates. Have you had this issue? I cannot get the second image to disappear. That sounds totally weird. Can you check in HTML mode whatever you have two image urls in that place? 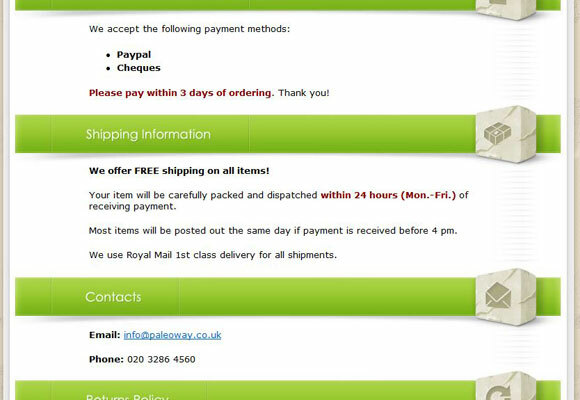 Is your tutorial relevant for Ebay UK? I have downloaded the new Turbo Loader. It still shows all my old listings from more than a year ago, some of which are useful templates for vinyl records which is what i sell. I get errors trying to upload any of them. I stopped hosting pictures outside Ebay because they now allow sufficient free pics. Image URL’s are a thing of the past for me. Uploading images to Ebay via an SD card containing them seemed to be reasonably quick. Does the tutorial have a print button? Yes, for gallery images you should use eBay – host those images on eBay. But for images you insert directly into listing/template, you still need to host them somewhere else and use links to them. Don’t know why you’re getting errors though – usually it says what the error is. Using either this method or another. I am using a custom template design. Once my listing is live, I am noticing all my listing that use a template seem to load much slower. E.g. On mobile app or mobile view taking over 4 sec’s to load. Is there a fix for this? As I imagine I am only adding a barrier to sale this way? Your listing def. shouldn’t load 4 seconds. What template you’re using? Is it ours? (SAT) They should load very quickly. Make sure you don’t have LARGE image/files inside your listing – that’s the most common mistake people make. No. It’s a custom made one, I already paid to have done. (The boss isn’t happy at moment with me). So looking to use it. It has dynamic category (now removed to see if any difference), dynamic cross selling, tabs at the bottom for shipping, returns, warranty etc. each tab switchable between each other. Other than that, there is the item images within the template. Ok. Thanks will see what he suggests. What is the time delay that is acceptable… Or good? basically there shouldn’t be any notice delay – like template should load in less than one second or so. How To BUY A Top Rated Seller Account For £200! Hey Andrew, Thanks a bunch for the video! I just started working with turbo Lister and I am trying to figure out if it is possible to duplicate/copy/transfer whatever you want to call it listings from one user id to another? Active listings I am talking about. I cannot seem to figure it out. Thanks a lot! No, it’s not possible to transfer active listings like that between accounts. But what you can do is export/import listing files (not active listings) so you can start listing them from another account. I’ve been using Turbo lister for a few months now, I’ve set up a pretty cool looking template (using your advice from your course!) and although I’m pleased with the results, it still takes me ages to get everything set up how I want it, linking to the hosted images I’m using etc. I want to start listing hundreds (if not thousands) of different items and using my current method it;s going to take months to get everything set up! Is there any software or service you could recommend to help me with this? Which part of the process takes most of your time? 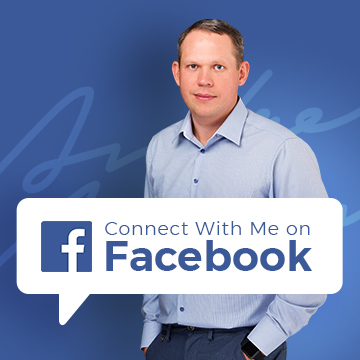 I’m afraid that there are no quick & easy solutions to build hundreds of listings AND at same time keep them beautiful and customised. Unless you want to rely heavily on CSV imports (which can be done but you have to be extremely careful not making any mistakes in files you import). I happened across your web site searching for something else. I noticed that you said your information was updated for 2015 and that you were having a ‘World Wide Launch’. Does this mean that you have information for me in the US? Do you have drop ship suppliers here? I have enjoyed your web site and all the information…I have another question for you, can you use TurboLister with LibreOffice? 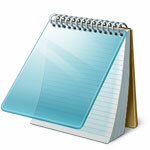 If so, is there a notepad to be used or can you do it from documents? You’re probably referring to my EAB course? Yes, it does apply to US too but no, I don’t talk much about dropshipping there as I don’t really believe in dropshipping as workable business model on eBay. does not show and neither does the back ground colour. Just wondering if anyone else has experienced this or has any suggestions. Hmm, our templates don’t have Store Name/Store Tagline… are you sure you’re using our templates and not from somewhere else? or maybe you have tried adding it to your shop? (as these are listing templates only). If you could further describe the problem, I could give you a more detailed answer. I forgot one last question (or two). I don’t see the freight calculator available through turbolister. All my items are over 150 lbs, so I need this option. Also, I really don’t understand what it being charged if you upload pictures directly from your computer to ebay or if you use an image host such as go gator. Turbolister on both offers you 12 photo uploads, correct? And both 12 photos (whether through image host or directly from computer) is free, correct? I don’t understand the benefits are self hosting photos in terms of monetary aspects. Also, when I uploaded 9 photos (choosing self hosted images), the urls are there, I save the template, go back into the listing, and I only see one url, the main gallery photo. Why is this? But all the photos that I originally uploaded are still showing up in my description! It’s driving me nuts. lol. Thanks! Not sure what you mean by freight calculator? There’s no such function in Turbo Lister. As for self hosted images – you need them to be able to insert images directly inside listing description using Turbo Lister as you can’t use there uploaded images (ones that you upload to eBay). Hi Andrew and thank you for this informative articles. I have seen all of your videos on youtube, and have followed the directions carefully as to how to use turbolister. However, I am experiencing some problems. First, I purchased a very clean listing template that has embedded pictures in the html. I signed up with Host Gator, as instructed by you, and saved my first photo listing to host gator (both in regular size and saved a smaller size to use for the listing description). When I add my photos to turbolister gallery, they show on the bottom of the page (meaning on the bottom of my listing description)! So, not only do I have pictures at the top of my listing (I just replaced the template photos with my photos), but the photos that should appear in the ebay gallery are appearing at the bottom of my listing after ‘contact us’. It looks absolutely horrid and tacky! And because the photos are large (meaning 1600) they appear huge at the bottom of the listing. Why are they showing up at the bottom of my listing?! I tried to delete them altogether; i figured it would be enough just to have the photos that I added to my listing without all the photos at the bottom, but ebay gave me a warning that I had to have at least one photo. Please help, I am so frustrated. Also, I have no idea how to save a square photo. I tried to save a photo in gimp (1500 x 1500), but gimp changes the height amount automatically to a different amount. Sorry for the long rant, and much thanks! In only shows those images below the listing in Turbo Lister, when you’ll upload listing to eBay, when listing goes live on eBay they won’t show up (they at least shouldn’t). Square photo – easiest way to do this is to use CROP tool! Simply select crop tool and enter 1500 x 1500 pixels and select area you want to cut. It will cut it out and at same time automatically re-size to your required size. Thank you for your response Andrew. I will try cropping my photos later, in order to get square photos. I did want to mention that when you add photos to turbolister, they do show up within the body of the listing. I don’t know if this is something new that’s happening, but it looks absolutely awful to have extra large 1500 size images showing in within the body of my listing. I logged into my ebay account to see what the problem was, and it says ‘only 1 photo allowed with self hosting option’, so I think that with turbolister anything more than 1 photo (even though it’s self hosted), gets tossed to the bottom of the listing. So, what I did was deleted my photos from turbolister (not from within the listing, but deleted gallery photos and only left one). Or if you want more than one picture in your gallery, you have to upload directly from ebay using ebay picture uploader. Better this method than having double the photos in the body. I’m not sure why ebay is making this so complicated cause this means that you have to still edit in ebay just to add photos to the gallery. Thanks for all your help! No, you don’t have to use eBay for this. Also in Turbo Lister you can upload all gallery images (to eBay), you just have to change that small setting there from self hosted to eBay. Could you suggest me please from your experience which is the best way to deal with 1000 fixed listings? I mean it is better to have eBay Store and pay fixed fee for that big amount of listings which would be much more lower that paying 30p for each listing what makes 300 GBP monthly in that case. Maybe it sounds stupid question but I have heard that those listings stands in much more better rankings on eBay than items sold via eBay Store. Absolutely, you need a shop subscription here! Not only you’ll get to pay lower fees, you will actually attract more buyers as many people like to check out shops for additional/related items. And you want to get Featured Shop subscription at £59.99 per month, which gives you 1200 FREE buy it now listings per month. Plus. with a shop subscription, you’ll be able to use Good Til Cancelled listing format which is crucial if you want to achieve top search rankings for your listings. No, shop listings are not treated differently, at least not in bad way. There are no more “normal” and “shop type” listings like it was years ago. All listings are same now and if you have a shop subscription, they’re simply connected to your shop, that’s it. I’ve tested the code directly on ebay and it work fine but when i load in TL it breaks. Is there any way you can help? It could be that Design view mode in Turbo Lister breaks up your code if it contains scripts. What you could try is create/format listing in any HTML editor that supports such scripts, then copy final HTML code and paste into Turbo Lister BUT only HTML mode. paste code in HTML mode and close/save listing down WITHOUT switching to design mode. Just finished a listing, attempted to make a duplicate to edit for my next listing, when a box appeared saying ‘TURBO LISTER exe has stopped working. Windows will close program and notify if a solution is available’ after which it shuts down. I try to open TL again, to be greeted with the box where I can make a choice and open an existing fie. First try restarting your computer. If you then still can’t launch the application, the only way to get it back to life is by re-installing it. You still keep your back-up files of listings so after re-install, you can simply “load” back all your listings. I am having trouble with putting my images into your ebay listing template from my photo hosting account within Dropbox. When I save and paste the Dropbox URL into the pictures and description section in turbo lister it says that the URL is not recognised, but if I paste the URL into a web browser address line the image shows, which means it is a good link. Any ideas would be appreciated. I don’t think you can use Dropbox and similar services for eBay images because Dropbox gives you a link to share with a specific person. That link is essentially encrypted and won’t show up for everyone on eBay. So if you don’t have a hosting account yet, for now just use Photobucket or similar service. How to Create New Products to Sell, Without Being an Inventor! I’m having difficulty with my getting the proper size PHOTOS on my Listings ? I have a ICON for my pictures of all my products but apparently their the wrong size for my Listings to be accepted……can you help me find a proper procedure to get all my product pictures to be listed at the CORRECT size ? I’ve been a member of eBay for years and have had no problems listing o Turbo Lister…..but since retaking all my product pictures I find them now too small….hope you can help me find a method to upgrade each product picture to the acceptable size……TKS…. Are you talking about MAIN/Gallery pictures? Or pictures that go inside your listing description? A very helpful article, but I can’t help but think there might be a more efficient way of uploading images to the template, and mapping certain info to the advert. But, that depends on whether that is possible, that’s where you come in! For me, if I’m uploading 50 or even 20 skus to ebay using turbo lister, I’d like to be able to code the template to grab the image 1 link already mapped when filling in the image links, rather than having to go back and change them all the time.. Is this possible to your knowledge? Or would it mean having to use a more sophisticated listing tool? If this is possible, would it then be possible to grab the title from the relevant mapped turbo lister field automatically, to display in a certain place in your template. I don’t think that’s possible with Turbo Lister directly, without using some 3rd party script/program/line of code. Turbo Lister is ok for small to mid volume but if you’re looking for something more sophisticated, take a look at Linnworks – it has way more customisation options than Turbo Lister and will allow you to do what you’re describing. You using a very nice looking template. Can you recommend where can i aquire such a template? I am not talking about this exact one, but this is what i am struggling with now – creating a template for all my listings. THe one you use looks awesome and would definetly attract customers. Yours also have a dynamic menu if i am not mistaken. I would love to have that too. Turbo Lister is 100% FREE to use! Can this turbo lister be used with ebooks to sell on ebay? and l think your website has great resources to sell items on ebay. Turbo Lister is just a listing creation tool and scheduler – you can create listings for ANY kind of product you want using it. As long as it’s allowed to sell on eBay of course. I look all your video, and it’s very interesting about the description, I just have one question, with your experience for the scheduling mode, what is the best day to start or end an ebay auction, and what is the best time period (3,5,7,10 days). It totally depends on what you sell… That’s why I recommend using Terapeak as it will show exactly what day, time your items have highest sell through rate. I have just tried changing one of my images inot a square as you suggest but the image now looks distorted (too tall). How do I avoid this? I don’t know what image editing software you’re using but the best way to get square images is to use Crop function. Set size to 1000 x 1000 pixels (or whatever you want it to be) and simply crop out new image. Let me know if you need further assistance with this. Thanks Andrew, got it now! The picture editor that comes with Windows is very limited. There is a free program available that is much more versatile and not hard to use. It’s called, “Paint.NET”.